FREE Planner 2018: Design a Life You Love! The Ultimate FREE Planner 2018: Design a Life You Love! 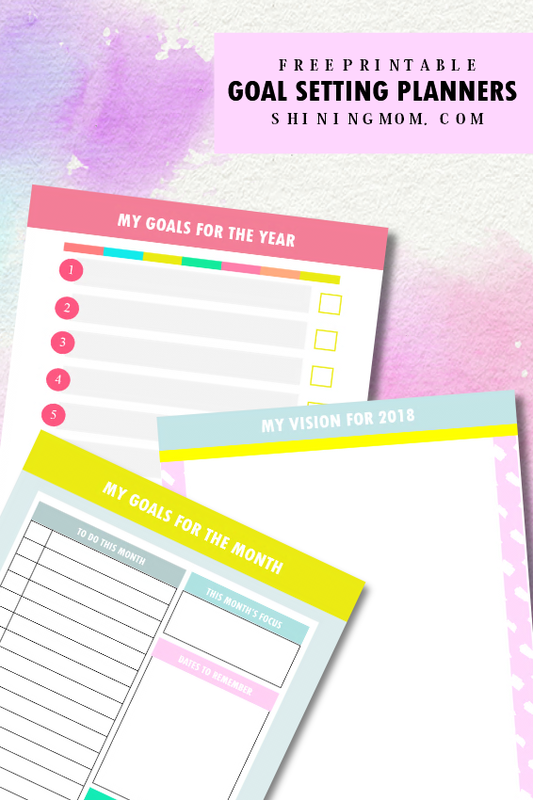 I am totally joyful to release this free planner 2018 today! This is the perfect time to get your hands on it because now is the best moment to start dreaming and to start looking forward to the year ahead. Are you ready to print your gorgeous copy that is truly practical and functional? 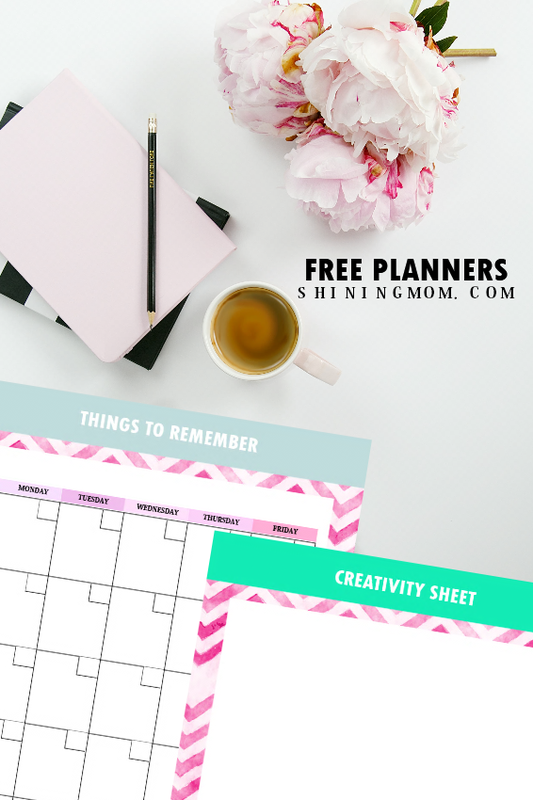 This free printable planner 2018 by Shining Mom is ultimately and carefully crafted to help you design a life you love! Hello, friends! Welcome to Shining Mom blog. If you’re new here, bookmark this site as your go-to blog for your printable organizers needs. Through the years, Shining Mom Blog has built its reputation as a reliable resource for practical, beautiful, clean and functional planners. This year has been a magical milestone for the blog. It has leaped to a level that is waay beyond my expectations– It is rapidly building a strong number of readership and following and I am truly delighted! Little did I know that my love for words and my passion for creating planners has taken the blog to where it is now. Thank you for supporting the Shining Mom blog. But before I show you the inside pages of the Design a Life You Love 2018 Planner by Shining Mom, I have something to tell you: Friends, I am so blown away by your warm embrace to the 2016 edition!!! It’s currently a popular pin on Pinterest and it is still hitting like crazy up to this day!!! Thank you!!!! I must admit, I am humbled and sometimes even intimidated to realize how you make Shining Mom planners part of your days. You push and inspire me to create more life and home organizers! And as my little way of thanking you, I came up with the 2018 printable planner edition which you can get for FREE! The free planner 2018 is another work of heart and I am hopeful that you’ll love it just the same. Here goes your planner, friends. 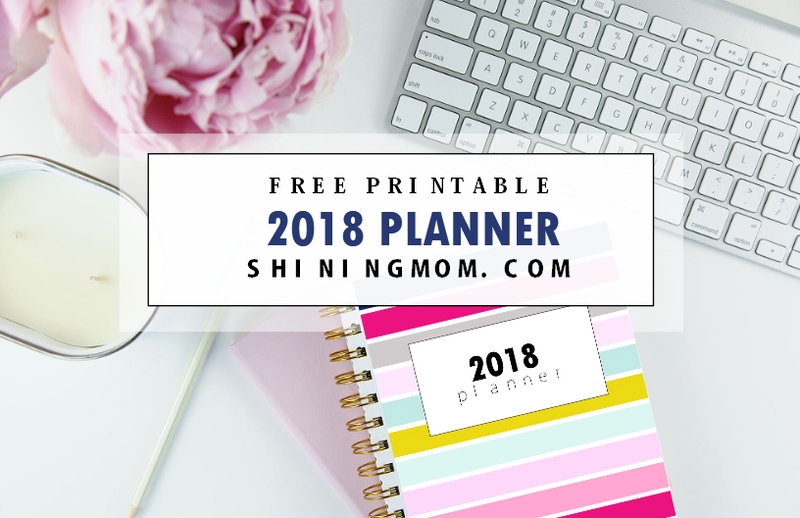 The Free Planner 2018 by Shining Mom Blog: Carefully Crafted to Help You Design a Beautiful Life! I don’t know about you but I am this type of person that has so much love for planners. When I hold a new planner for the first time, I get so excited, my dreams begin to soar! I love dreaming. I believe dreams are our soul’s blueprint for success. For as long as we dream, we never stop moving forward! And my planners, I must say, are my best friends for dreaming. I like sharing my dreams with them and I like writing how I plan to achieve my dreams on their pages. A planner as a best friend has actually been my guiding light in creating this 2018 Design a Life You Love Planner by Shining Mom. I have carefully designed it for you to write on your dreams, set your goals and eventually work smart to achieve them. In a nutshell, this free planner 2018 crafted to help you design a life you love! The printable planner has three sections to love: The Life Planner, Home Binder and Kids Planner. Yup, it it’s almost a complete tool to plan your 2018! A special shutout to PatternSupplyCo. for some of the graphic elements I incorporated with the design. I am so thrilled to show you the over 30 lovely pages that you can immediately use! The Life Planner is such a powerful section of the 2018 Design a Life You Love planner. This covers all the necessary pages that will drive you to dream and set goals all year round. It covers the useful pages such as the Vision Board, Plans for the Year, Monthly To-Do’s and more! To enjoy the organizers, simply go HERE. 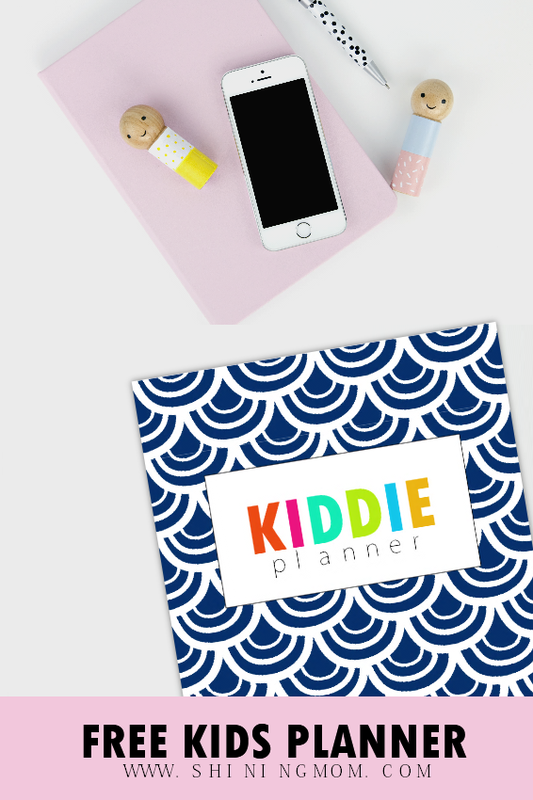 If you’re a mom who needs a binder of printables to help you manage your life with kids, you’ll be happy to have a copy of the Kiddie Planner. The planner has chore charts and activity sheets that you can use! Not only that, there are also planning pages that you kids can use such as the homework planner, reading log and more which are all HERE! And oh, should you be needing an ultimate household binder for moms, you might like to see my previously released binder for moms, the “Every Mom’s Planner. The planner has over 70 sheets of home management bliss for all the moms. It’s the Shining Mom flagship planner you shouldn’t miss! Check it out it here. 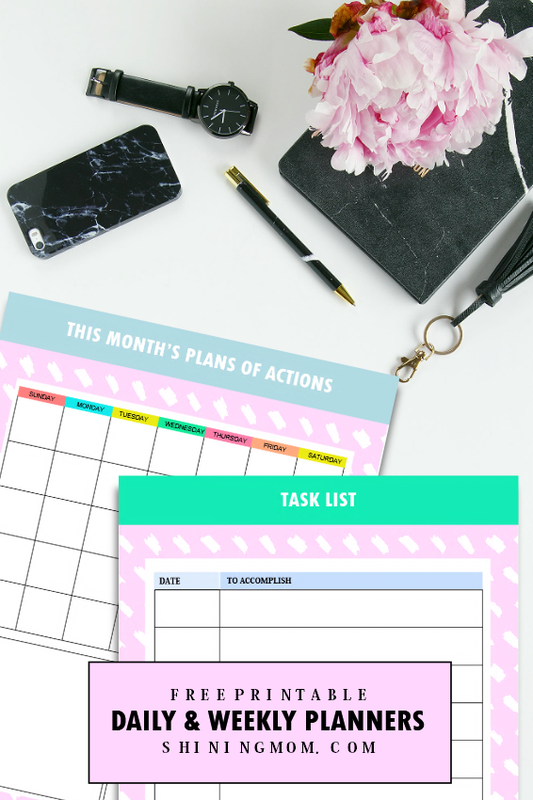 The last section of your free planner 2018 printable is dedicated to help you manage your home. In need of menu planners? Cleaning checklists? It has you covered! This Home Binder will help you manage a beautiful home! And of course, I added extra pages that you can use to keep you organized and inspired! Print off the powerful planner dividers and the beautiful note pages which you can find HERE. Please be reminded that this free planner 2018 is designed to be printed in letter-size paper (8.5″ X11″). Be sure to grab all the pages, there are four (4) files all in all for you to enjoy! Don’t miss any! New Product on the Blog: The 2018 Success Designer! Friends, I am happy to introduce to you another Shining Mom flagship planner. If you are planning to finally achieve your dreams in 2018, you have to see this amazing planner designed to help you set sail your success! Introducing… THE 2018 SUCCESS DESIGNER! It’s a planner fully packed with goals focused worksheets that will help you do more and achieve more. With The 2018 Success Designer, you’ll realize that your ultimate dream can actually be achieved one step at a time. View this amazing planner here. Do not miss this post, save it for later by pinning the image below on Pinterest! You’ll also help me grow this blog that way. Thank you! 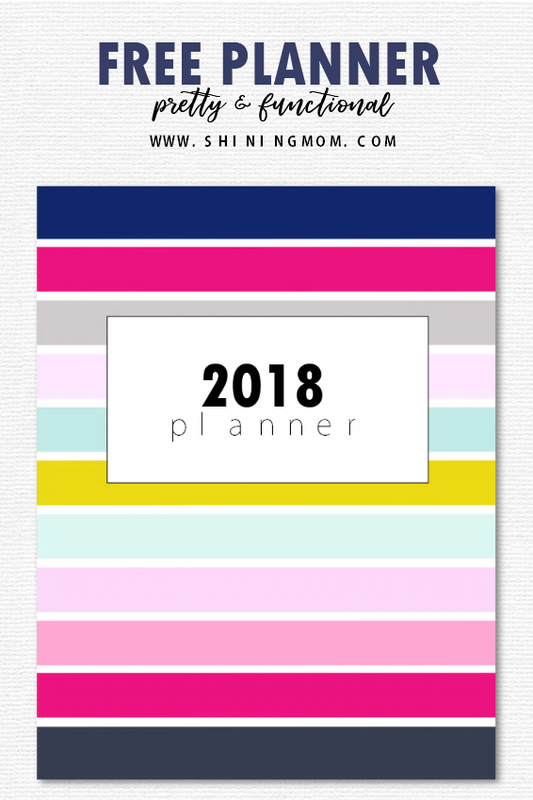 This free planner 2018 Design a Life You Love by Shining Mom will ultimately help you design a life you love. Please let me know at the Comments if you’re planning to use this planner because I love to hear from you, too! Have a blessed and bountiful 2018 ahead! I would so love to have this planner if my printer was working! Beautiful planner and I am planner obsessed! Aww, Michele! Thanks for leaving a note. I hope you can also use this one in the future! Thanks, Kellie! That means a lot to me. God bless you! Thank you for this lovely planner. You’re most welcome, Linda. Enjoy the planner! Finally a planner that has everything I actually need, not pages that I won’t use. Thank you. I’m a new follower and will definitely be keeping up with your blog. And thank you for the hard work so we can all benefit. I absolutely love the planner ? Another gorgeous printable, thank you for this! I shared it on my pinterest/plan & organize board and invited my followers to visit your wonderful blog. Hello, Kim! Thanks for helping me spread the freebie. It means a lot to me. My name is Kate, I am from Ukraine. I am happy to find your website and all these great things you do. Thank you very much! Hello, Kate! =) I am happy that you found me. I hope you’ll stick along. Warm wishes from the Philippines! thank you for ur kindness sharing ur printables with us. can i ask if i can convert it pocket planner coz mine is only filofax pocket planner that i always bring to work.. but i like ur printable calendar so nice. thank you very much, love from Thailand. Thanks, Ploy! Cheers from the Philippines!